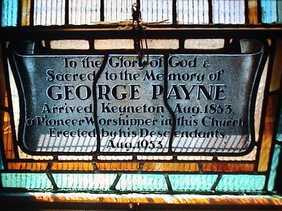 George Payne was born in 1811 at Ratcliffe On The Wreake, Leicestershire, England and was married in 1833 to Elizabeth (Annie) Sharpe of Sileby, in St. Mary's Church, Sileby, a small town 2.5 km west of Ratcliffe on the Wreake. 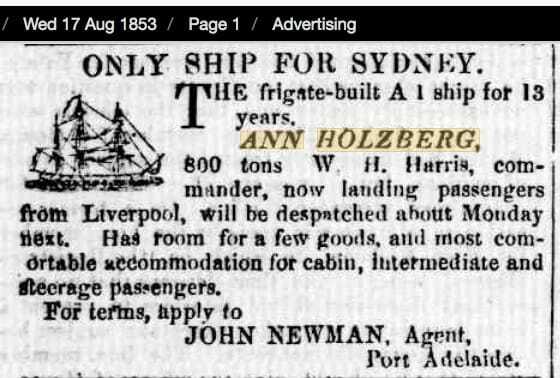 In 1853, George decided to emigrate so he, his wife Elizabeth ‘Annie’ and their seven children - Frederick John (Fred), George Arthur (Arthur), Anne Marie, Joseph Henry, Jane Susannah (Susan), Charles Edwin and Alfred Edward, boarded the barque "Ann Holzberg" in 1853 to journey to Australia. The voyage from England to Australia took four months; however, while at sea, in sight of Kangaroo Island, a tragedy struck the family. Annie became ill and died when they were within sight of Kangaroo Island, off the coast of South Australia, not far from their destination. She was apparently in late pregnancy and died during childbirth. It must have been a bitter blow for George and his family to lose his wife and their mother at the start of their new life. 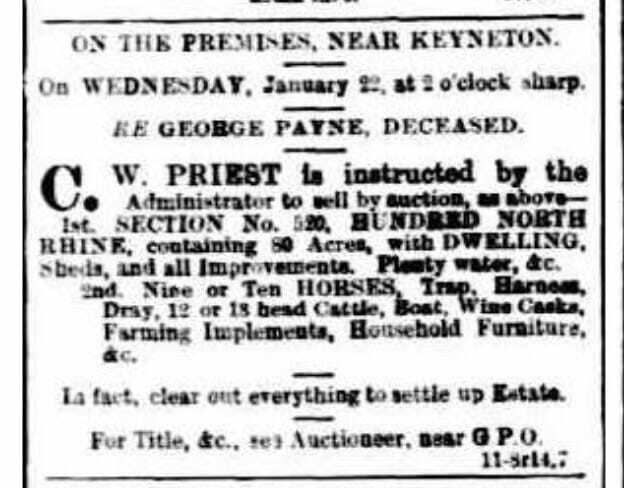 George took up residence on an 80 acre block south of Keyneton, which was to be his home until his death in 1889. The block slopes gently up from Crial's Creek to a low wide ridge. The lower slopes are reasonably fertile, with fairly deep soil; the creek would have supplied water for most of the year, but it would certainly have been unreliable. It is a headwater of the Somme River. The upper slopes and ridge are dominated by massive and spectacular rock outcrops, which render agriculture difficult. It is a block with singular attraction and a pleasant outlook. 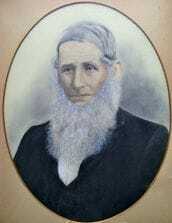 George and his family developed the block, planting an orchard and vineyard. 80 acres is obviously not big enough to support a large family, so other land was leased and George’s sons moved to the Murray Flats around Sedan and Cambrai and established themselves there. 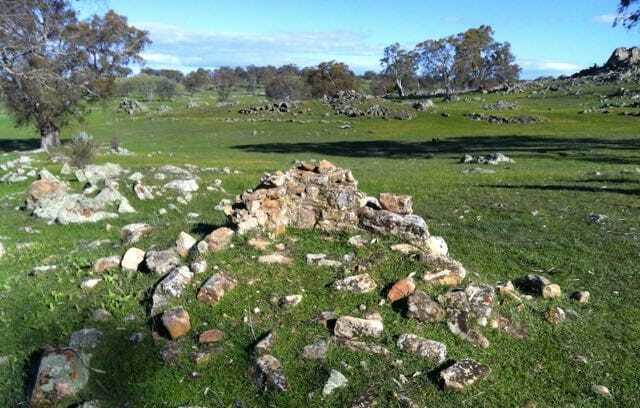 George was one of the pioneering families in the Keyneton area and his numerous descendants pay tribute to his adventurous spirit, moving to what was in 1853 an undeveloped country and region.